Genesis 1 starts in a conventional way, In the beginning. Isn’t that where all stories should begin? Occasionally a novel or movie may start in the middle or end and then flashback to the beginning, but we are conditioned to think Beginning/Middle/End. If we were to start near the middle, we would wonder, “How did we get here?” Genesis 1 has no such confusion. Genesis 1 however pushes, “In the beginning” to the Nth degree. This is not simply the beginning of a story or a life. It is the beginning of time itself. There can be no earlier beginning or start. This is the ultimate starting point and in some ways beyond our comprehension. Genesis 1 then states that the only thing prior to the beginning is God. God precedes the beginning and is the one who creates all that was, and is, and will be. In confirmation students sometimes ask, “Who created God?” They struggle to comprehend that God is the First Cause, the Eternal One. I often respond to their question with this response: if I said “X” created God, then you would ask “who created X?” And if I said “Y created X,” then who created Y? 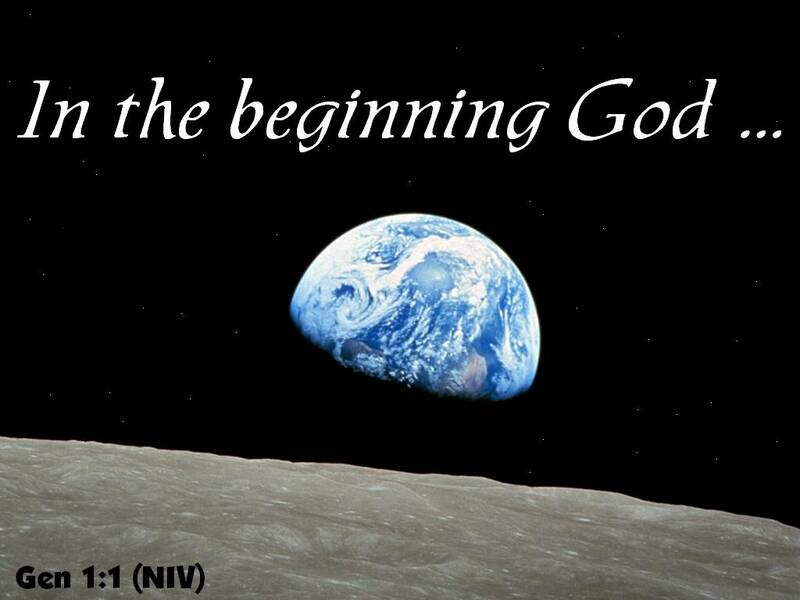 God is at the very beginning and the first creator. In the beginning God created. I find this opening phrase of the Bible to be not just a deep theological concept, but also an even deeper source of comfort and hope. The creation is NOT a random act of physical and chemical reactions, but a CREATION that God started for a reason. God wanted a beginning, chose to create. God did not do this in secret, but revealed this creative beginning to us in his Word. God wants us to know that He stands behind the creation we observe and live within. And if he is the author of this creation story, then he has a purpose for us. God deliberately choose to create each part of creation, giving us significance. God stands at the beginning of creation and at the beginning of each day. How do you invite God into your beginnings? Lord Jesus, may my beginnings start with you today. This entry was posted in Beginnings, Bible, theology and tagged Genesis 1:1, God, In the beginning on September 8, 2011 by Pastor John Keller.